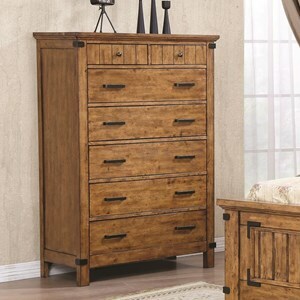 Full of rustic style and convenient functionality, you can't go wrong when you add this chest of drawers to your bedroom furniture set. 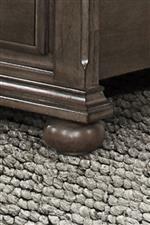 This chest of drawers features tasteful bun feet, large scale hardware and decorative molding to capture its warm, rustic style. With six drawers total, this chest of drawers offers enough space to store your clothing and accessories in style. 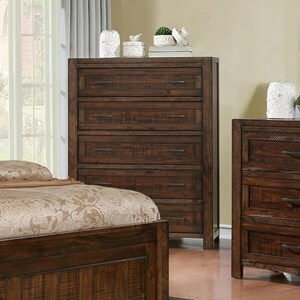 The 1026 Rustic Chest with 6 Drawers by United Furniture Industries at Rooms for Less in the Columbus, Reynoldsburg, Upper Arlington, Westerville Ohio area. Product availability may vary. Contact us for the most current availability on this product. 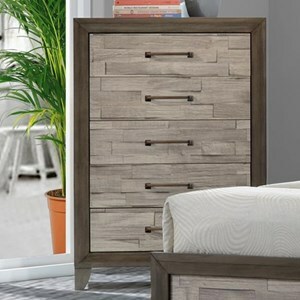 The 1026 collection is a great option if you are looking for Rustic Transitional furniture in the Columbus, Reynoldsburg, Upper Arlington, Westerville Ohio area. 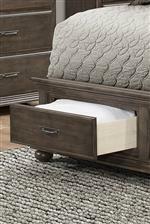 Browse other items in the 1026 collection from Rooms for Less in the Columbus, Reynoldsburg, Upper Arlington, Westerville Ohio area.